In recent years, Kydex has overtaken leather to be the number one material for making gun holsters. What’s the Best Kydex Holster for You? While leather is too sensitive to moisture and extreme temperatures, Kydex holsters can withstand all kinds of environments without losing their shine. 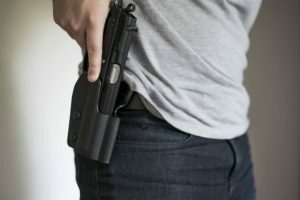 With many gun owners aware of this, the demand for Kydex holsters has skyrocketed, and manufacturers have responded by flooding the market with all kinds of holsters. But with so many options to choose from, it’s easy to end up with the wrong equipment. So, how do you find a Kydex IWB Holster that suits your needs? 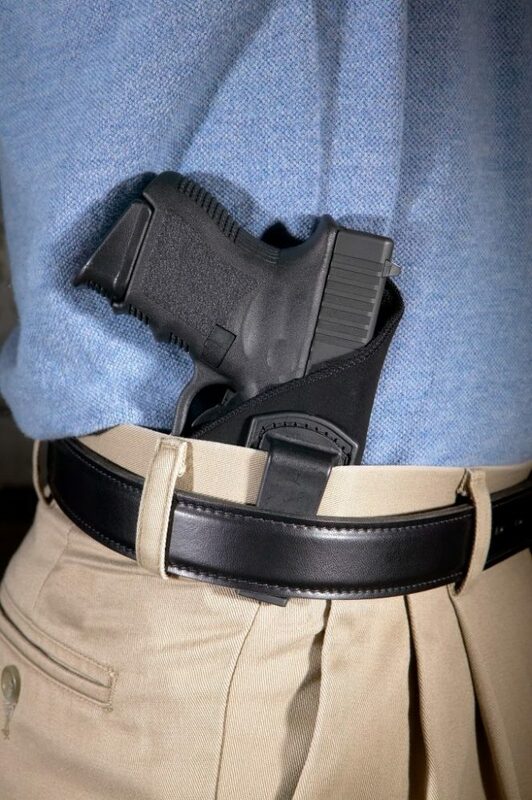 As with any gun accessory, safety is a priority when choosing a Kydex waistband holster. The most secure IWB holsters will come with retention features that ensure a snugly fit. 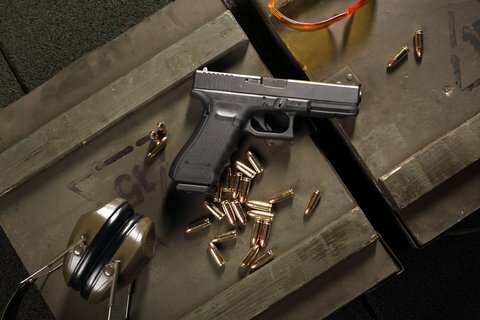 This allows you to secure your weapon with utmost control and also facilitates an easy draw. Some models come with an audible click feature that alerts you when the gun is improperly positioned. Given the obvious role of gun holsters, you would think that functionality is guaranteed in every option. But that’s not always the case. 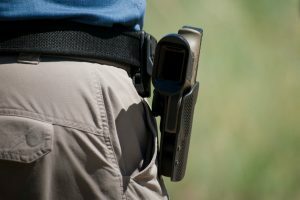 A number of things can compromise the functionality of a holster. For instance, the type of clothes you wear can determine how comfortable you’ll be when wearing your IWB gun holster. For something that you’re likely to wear all day, comfort is a priority. When this is compromised, so is the functionality. As a result, choose slim and lightweight IWB gun holsters as they’re more comfortable. 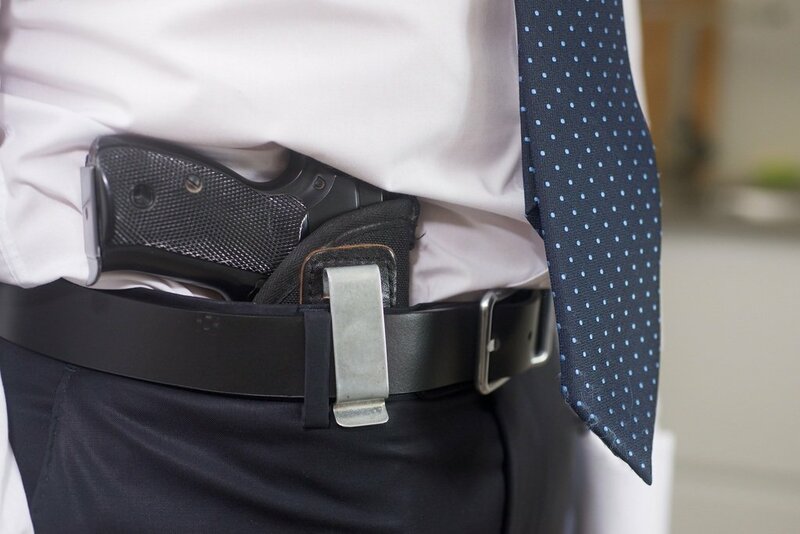 The waistband of your pants may also determine the comfort of an IWB gun holster. For maximum comfort, you’ll want to wear a slightly larger size than you normally do. This will ensure your gun comfortably sits in the waistband with minimal printing. 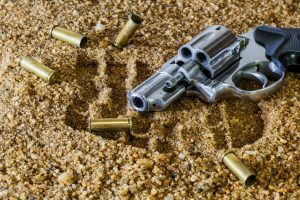 Additionally, you’ll want to ensure that the gun holster you choose allows you to draw your gun easily with your dominant hand. 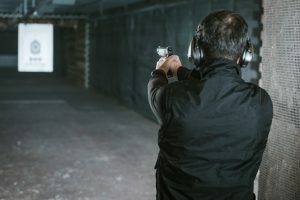 There are options for both right-handed and left-handed people, as well as cross-draw choices for those who anticipate drawing their guns in a seated position. 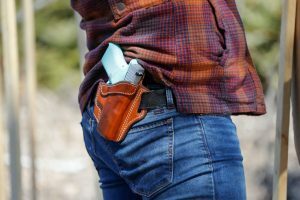 Whether you want to conceal your weapon because your state has a public open carry ban or just don’t like showing your weapon around, you’ll want your holster to properly hide your gun. Partly, concealing your weapon depends on the type of clothes you wear. Wearing loose and structured clothes can help you properly conceal your weapon. You can also choose Kydex holsters with minimalist designs to enhance concealment. The is Tulster M&P Shield IWB Holster IWB Holster just what you need if you prioritize concealment. This gun holster comes with a minimalist design comprised of a pure black finish and a smooth edge. The undercut trigger guard not only minimizes the materials used, but also increases grip on your handgun. It also ensures that you can easily release the magazine while your gun is still holstered. It comes with adjustable retention to ensure safety, as well as a sweat guard to keep your gun dry all day long. Despite being lightweight, this gun holster is rigid enough to withstand all kinds of environments. 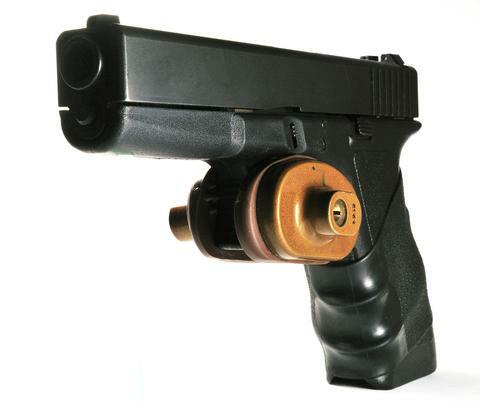 It also features a cant which you can adjust up to 15 degrees, allowing you to holster your gun in different positions. If you value comfort over other factors, the Gearcraft might just be the Kydex gun holster for you. It’s lightweight and ultra-thin for maximum concealment. It also offers great retention which when combined with the ultra-thin design, provides you with an easy draw. Featured in our picks for the Best IWB Holsters Glock 43​ guns, the Fierce Defender Winter Warrior combines concealment, safety, and adjustability in one package. It has a carbon fiber texture appearance and a slim design for maximum concealment under most types of clothing. That’s not to mention the adjustable retention, which secures your firearm to ensure your safety. Speaking of safety, this gun holster covers the trigger of your gun to avoid involuntary firing. 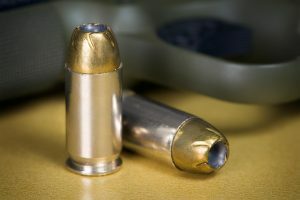 As for adjustability, the cant can be adjusted from 0 to 15 degrees, giving you several options for securing and holstering your gun on your waistband. This degree of versatility ensures a quicker and more comfortable draw. If you love leather but still want the rigidity of Kydex, the Comp-Tac MTAC holster offers a perfect hybrid of both. The backside is partly made of leather, while the front is Kydex. The leather adds aesthetics and comfort, while the Kydex front offers the toughness and durability you need from a holster. But what really stands out on this holster is the interchangeable spare bodies feature. 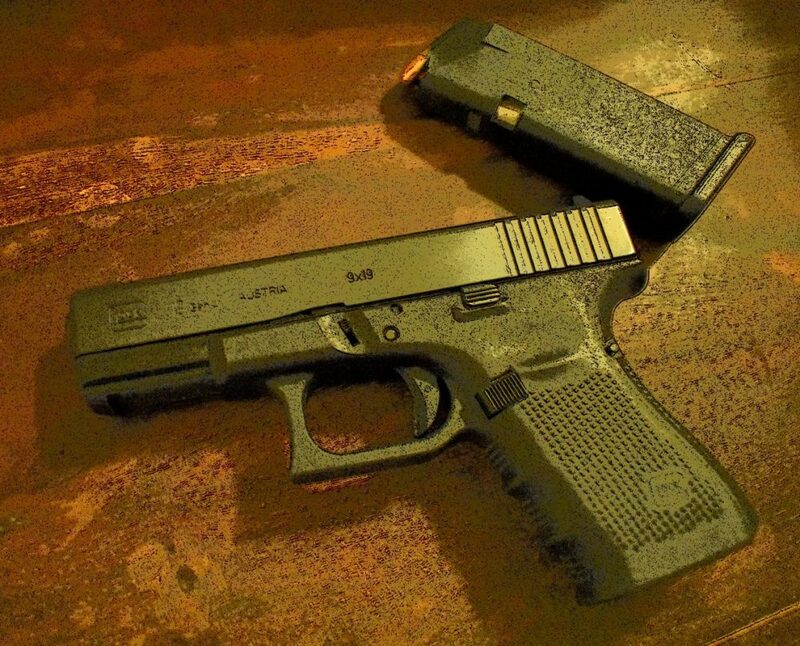 This allows you to switch the Kydex half-shell so you can fit another gun in the holster. The only downside of using the Comp-Tac MTAC is the lack of adjustability in terms of carrying positions. You can only carry the holster in a four-o'clock position (with your front as the 12-o'clock). Nonetheless, you can always adjust the ride position as well as the cant for a more comfortable carry. While this review points you in the right direction in terms of choosing the best Kydex IWB Holster, it all comes down to personal priorities and gun usage. For instance, if you like to carry your weapon discretely, you’ll want to go for a holster with a minimalist design. Similarly, users who require quick draws will want their IWB gun holsters to be adjustable. So, before you choose a particular holster, get your priorities right. For more insightful reads on gun holsters, check out our tips and tricks page.